Not playing the buddy game, just saying you posted your car and said "Boom, Headshot" as if it was something different and impressive. 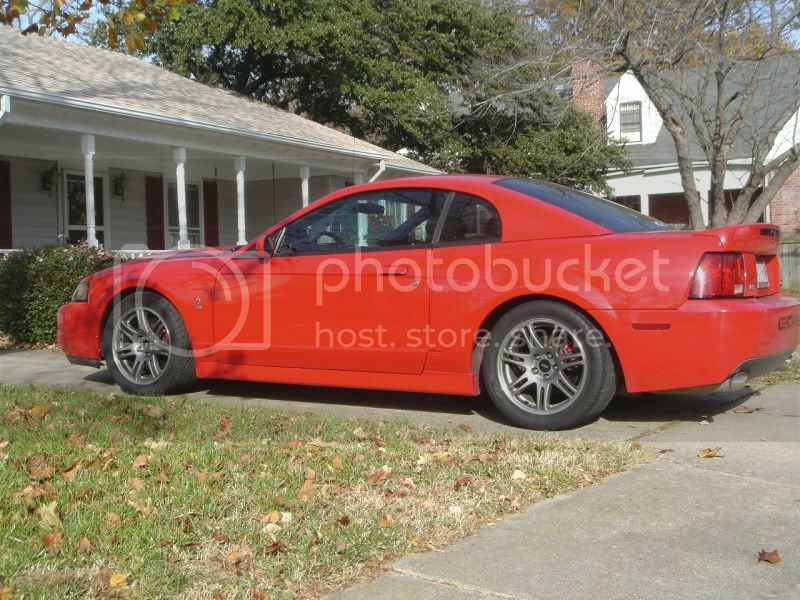 Your car is a dime a dozen and there is nothing special or different about your car then any other 03 SVT Cobra I've seen. I posted a picture of my friend Sean's because it is something different. Has looks and speed, THAT would be a head shot and is impressive. My car is so rice LOL! You said post your car so I did. Besides, your buddy's car looks like any other GT until you pop the hood. Since when is 13,776 "limited"? Refer to LH's post. You're dumb. You should just quit. Last edited by Lord Humongous; 10-20-2012 at 12:48 PM. how'd this turn into a mustang thread? to the OP, dont waste your money on any sort of intakes for this car. Just use a fresh set of aftermarket high flow drop ins. Additionally, it looks like you have the incorrect size tire on the rear wheels. should be a 275/30r18 i believe. if you need any advice on worthwhile modifications, or need guidance on maintenance, Ive had experience working on every part of these. Envious OP is envious, personally I would take LH's cobra over your shitbox m5 any day.